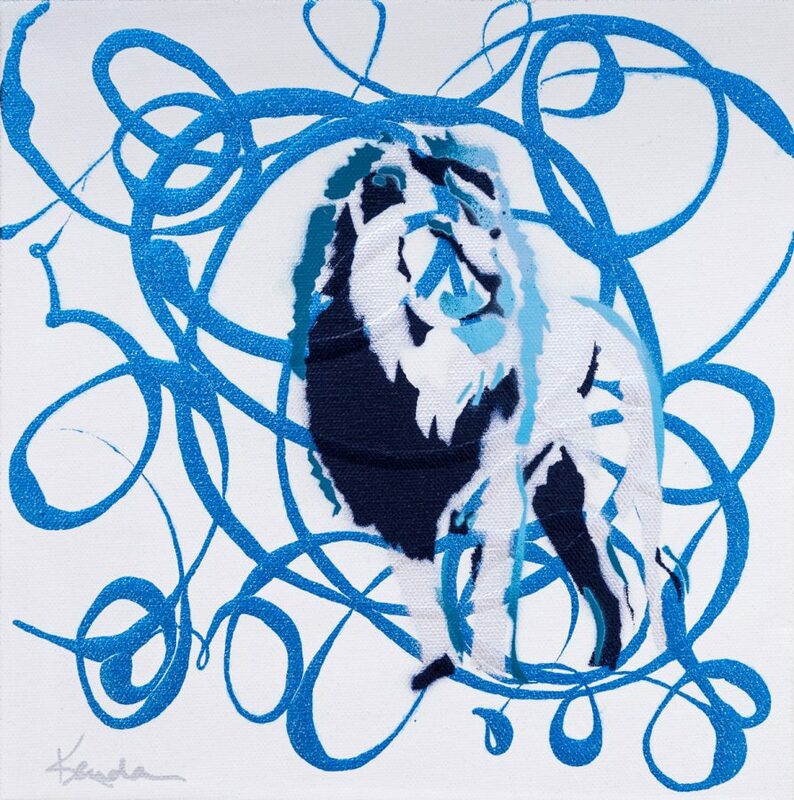 In this mini series, mixed media paintings depict animals as part of urban landscapes, in a modern graffiti style, on canvas. 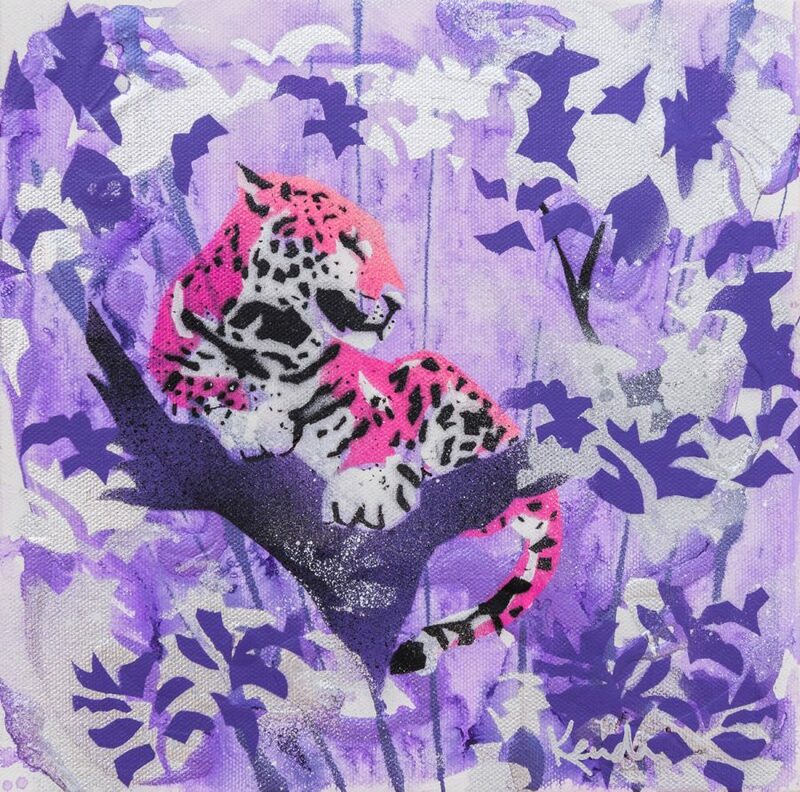 The street art style of stenciled animal subjects against urban tags aims to reflect animals in human altered landscapes, populated spaces, no longer pristine and primal. Human actions are affecting every corner of the planet, whether intentional or not, and the earth’s creatures have no choice but to live with these affects. Layers of words, numbers and symbols add depth of energy and meaning to the story of the animal and to the overall voice of the work. Bright colors, graceful brush and drip work, and detailed stenciled animals are elements that visually tie this rooted series of paintings together. I seek harmony for all creatures, a balance for the underdogs, and I speak out for the populations that can’t speak for themselves. My animal advocacy paintings and drawings are my own passionate voice, sharing knowledge and perspective and a hopeful call to action. Please help big cats and all creatures around the world: with your purchase the artist will donate to Lions Tigers and Bears in Alpine, CA.